A few years ago I had the chance to speak at Carnegie Mellon in Pittsburgh. My good friend Chris Klug, a teacher at CMU (and a great photographer) invited me speak and left it up to me to decide what I wanted to speak about and also conduct a small workshop. How does process affect your final results? Because of my time as in art director in the video game industry, I had thought about this often. How do I get a team of 30 on-site artists, and 200 or so more in India or China via outsourcing, work in a way that it appears that one hand created all the art for a game? Not and easy task. Defining a set process for various jobs becomes not just useful to the individual artists, but critical to budget, schedule and the success of the game. 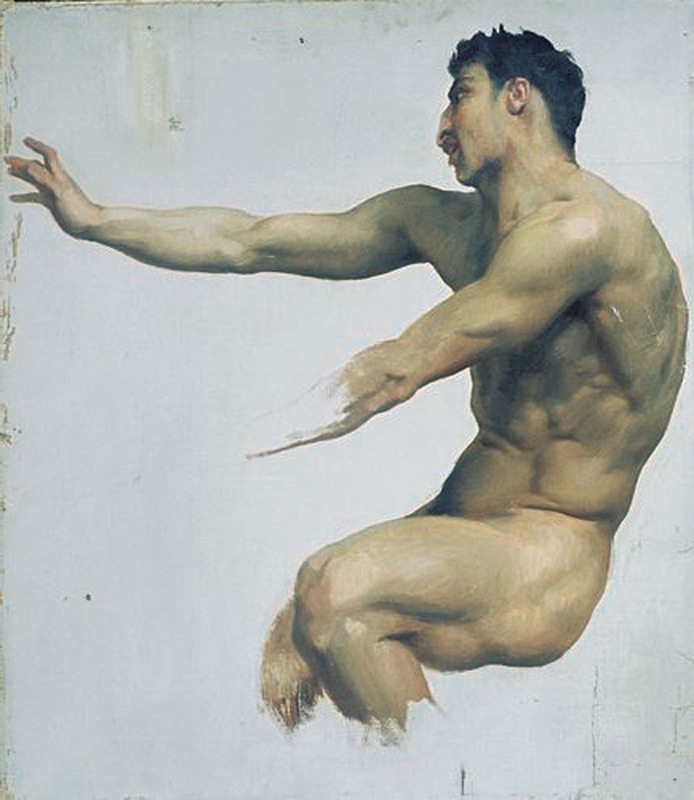 For the lecture, I went though one of my paintings and showed the steps of creation, and then spoke about the process used by Bouguereau and Rockwell (and Dali, Cornwell, Leyedecker, Wyeth, Pyle, Bama, Lovell…). For my workshop, I had them paint a formal portrait of a monster, or something monster-ish, in one hour. Everyone had to follow the exact same steps though. The results were definitely informative. Many of those who attended were surprised at the results that they were able to achieve in such a short amount of time. 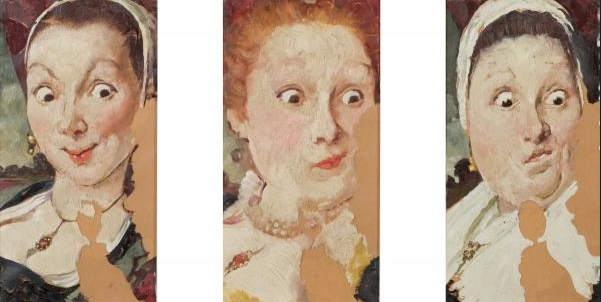 None of the paintings, including mine, were book cover worthy. Of course not, they were really just sketches still, but the key point was to see how the process could change the outcome. For some in the workshop, the progress was amazing. Not too shabby kiddo! Especially at 9. It certainly surprised him! It gave him a whole new level of confidence. 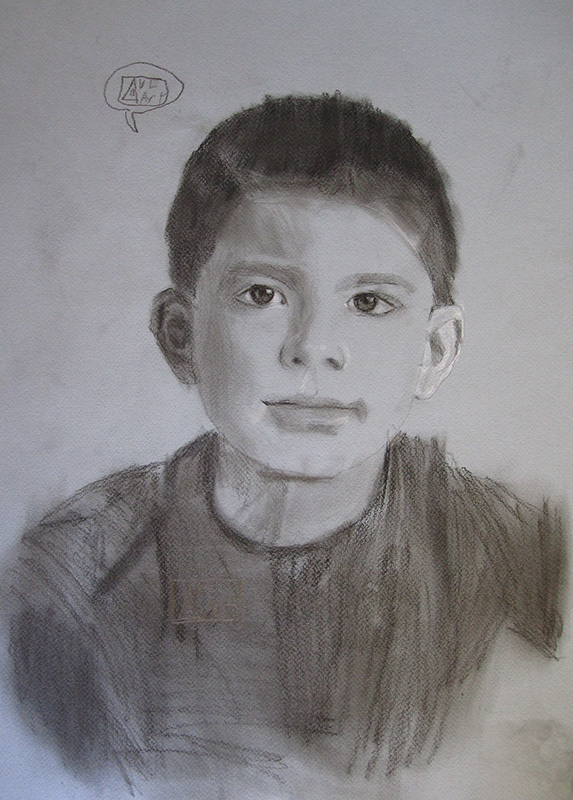 He started to see himself as an Artist! He didn't suddenly become better over night, graduating from stick figures to rendered faces. All that changed was his process. He applied tools and resources to his work that helped him see better results. There are a lot of different ways to approach a painting, and as many techniques as there are artists, but I think it is useful to look at a specific approach to picture making. It was nearly abandoned through much 20th century, kept alive by a few fine artists and of course the great illustrators. It was used from the early Renaissance and is seeing a renewal again today. Phew! That is a lot of work. I have resisted this for a long time. How in the world could I put in that much work for one painting. 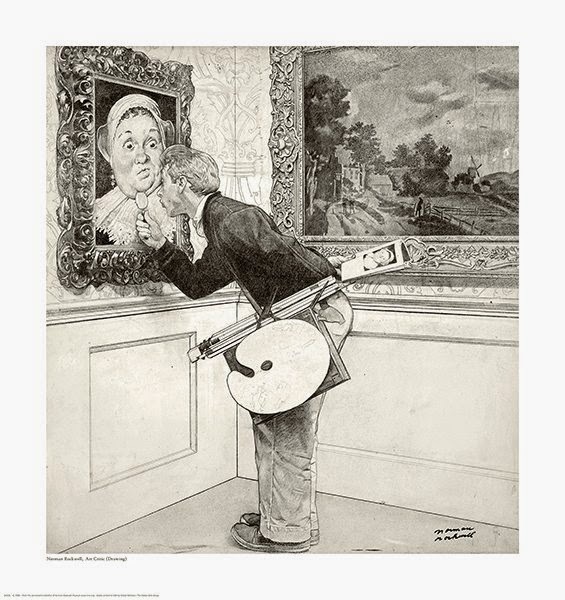 If you ever find yourself wishing that you could paint as well as Rockwell or Bouguereau (I do all the time) then we should probably start with the process they used, or at least take a close look. Heck, if they were that good and they still felt that all those steps were necessary... maybe there is something there. 1: Thumbnail sketches - Rockwell's definitely has a lot of personality already and is a little more resolved than Bouguereau's sketches. 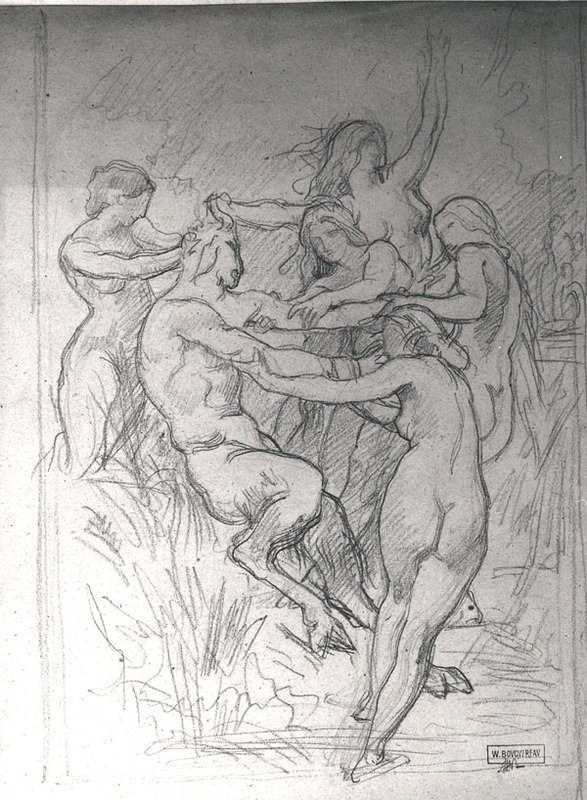 Bouguereau was originally planning a horizontal piece if the sketches here are any indication. 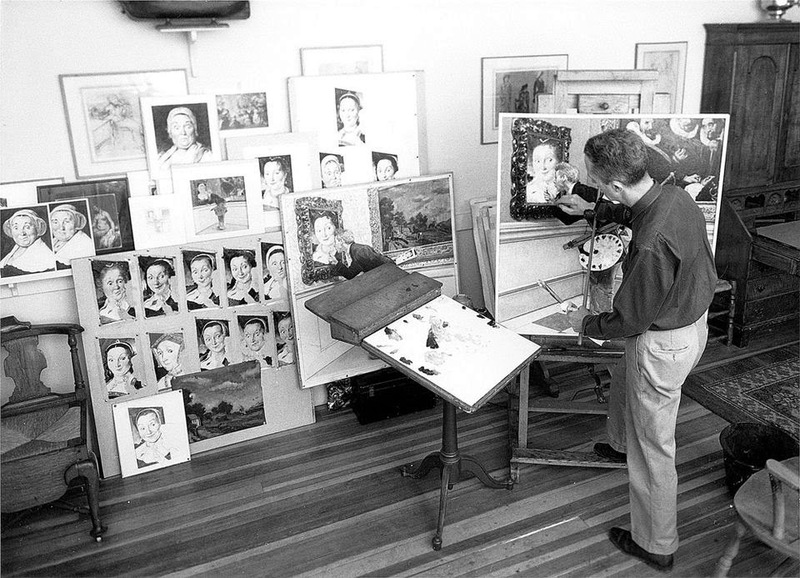 2: Detailed sketch - Be sure to take a good look at that photo of Rockwell at work on the painting. Look at all the work that has gone into this piece before he set brush to final canvas. Astounding! I count 18 different head studies. I find myself in awe of his work ethic. 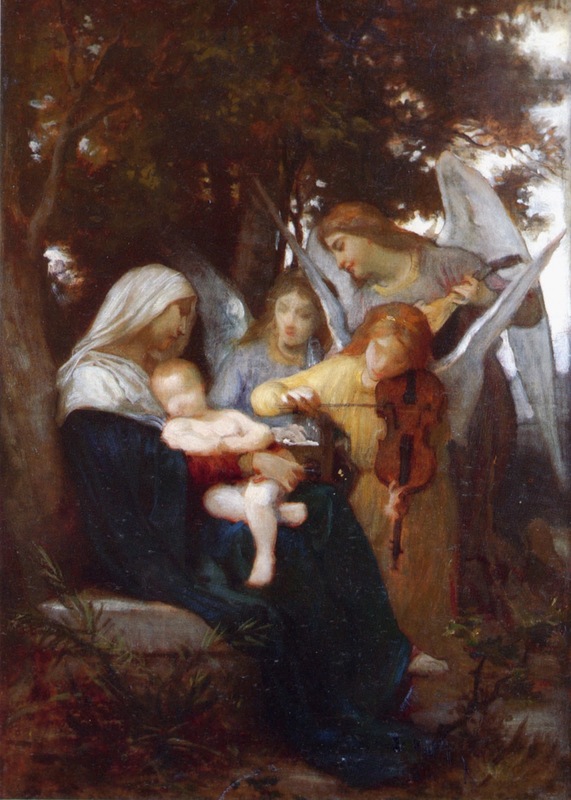 Bouguereau as well, he as just getting started! 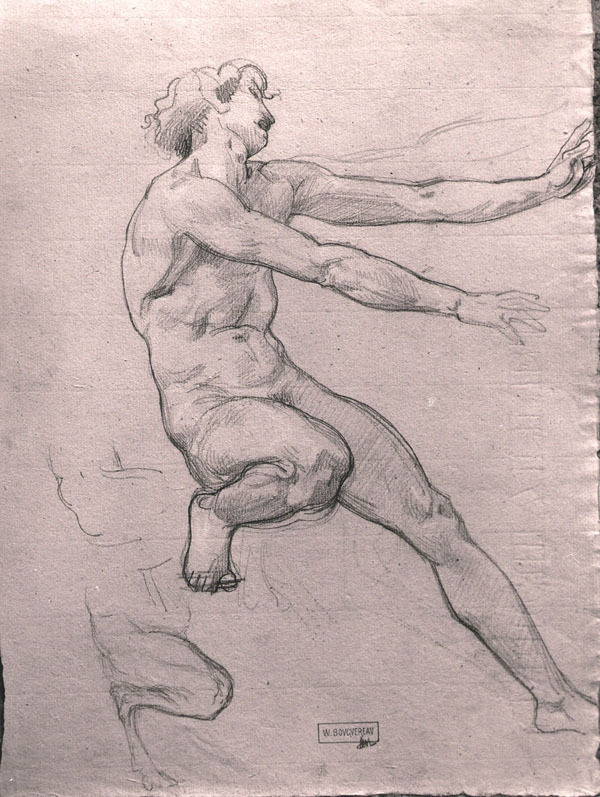 3: Studies from life/photography - Both of art artists are no longer drawing from their head, but using solid reference here. 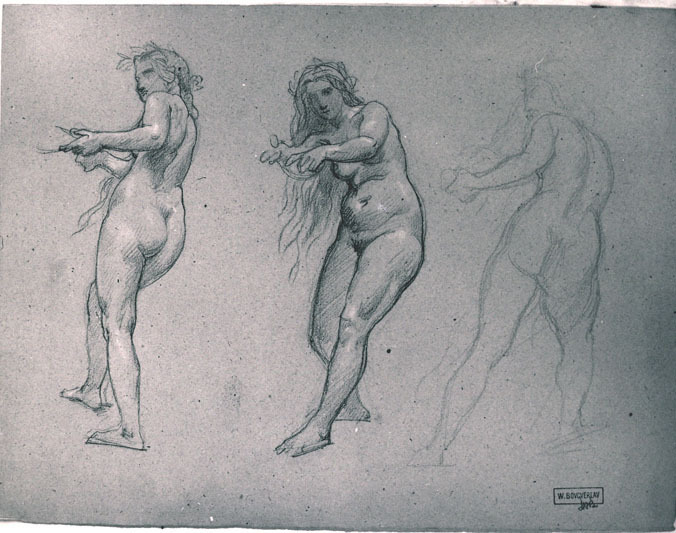 Rockwell searching for the right model and face (he ended up using his wife on the left as the final model) and Bouguereau drawing from models posing in his studio. 4: Value/color sketch - I don't have the color/value sketch that Rockwell did for this painting, but if you look at the photo of him in his studio in step 2, you can see it towards the left side, above all the head studies. 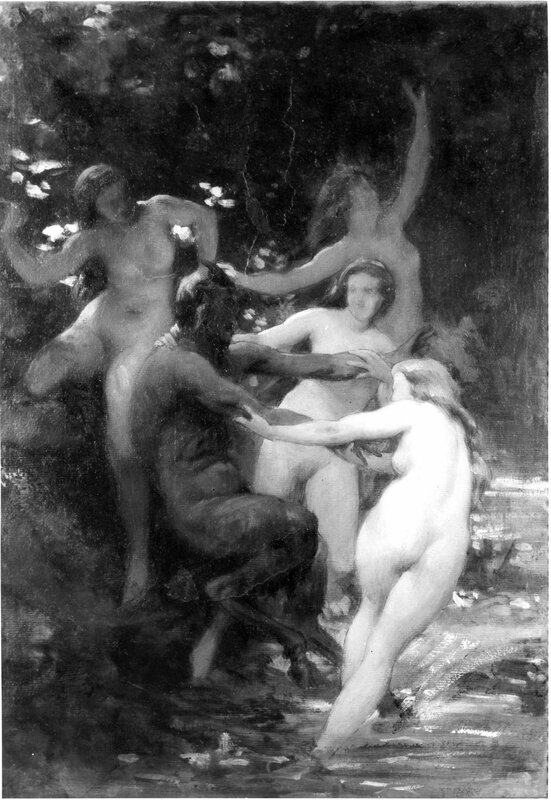 For Bouguereau, I am including the sketch for Nymphs and Satyr, as well as the study for another painting so you can see one in color. 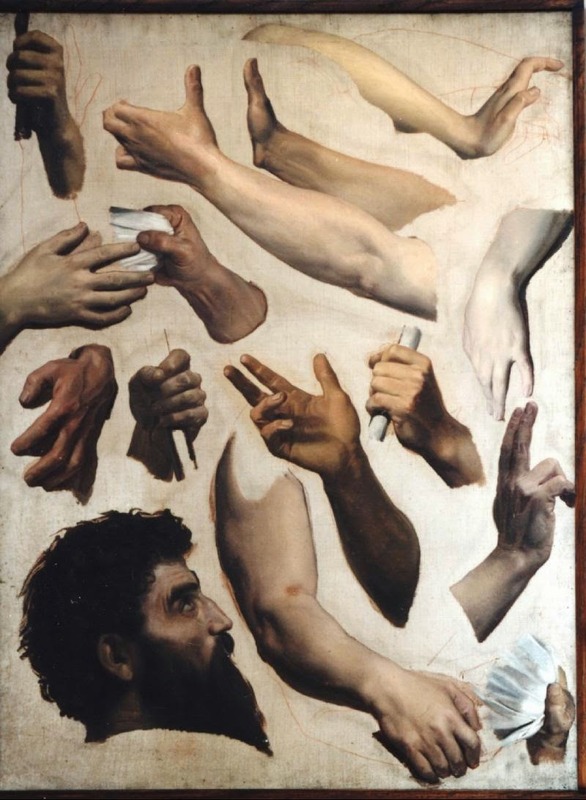 5: Study of head/hands/feet/fabric/difficult passages - Included here are studies for three paintings from Bouguereau that show the lengths he went to to get it right. Almost as if rehearsing lines, so that for the final performance, there would be little or no stumbling. 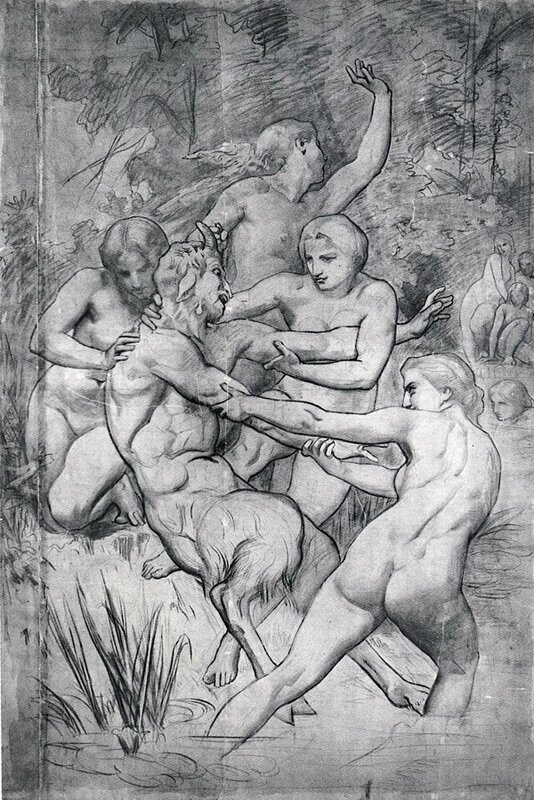 The first and third images aren't for Nymphs and Satyr, but give you an idea of what he was up to. 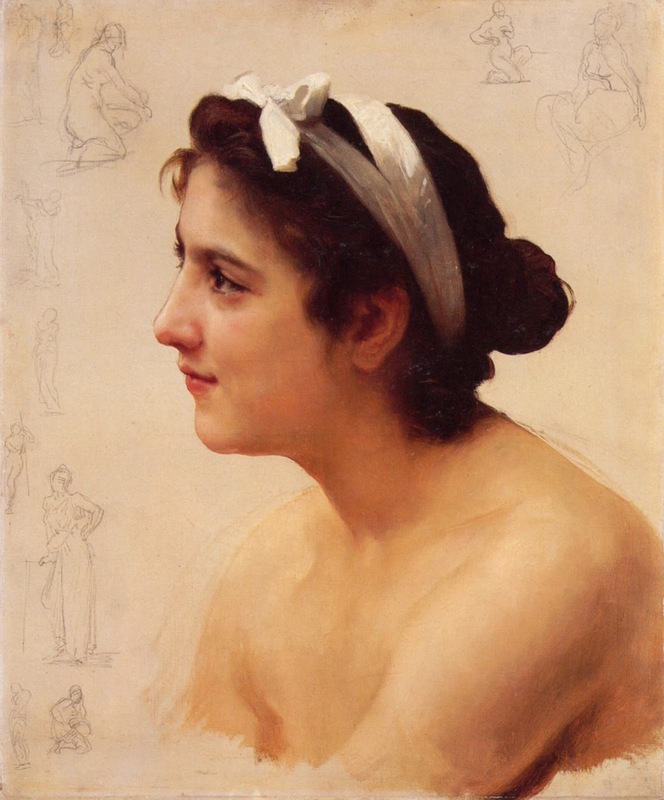 Rockwell's studies are a lot looser than Bouguereau's, but still very informative. 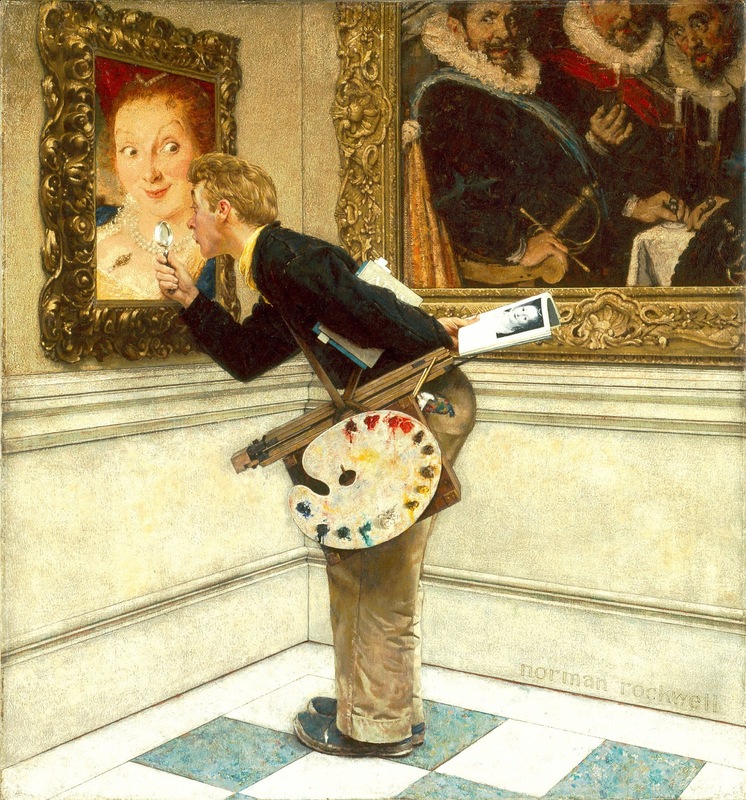 Rockwell would sometimes have his photographer shoot his drawings and then he would paint right over them to quickly get his colors in. 6: Full-sized cartoon - Two beautiful drawings, done at the same size as the final and ready to be transferred to canvas. 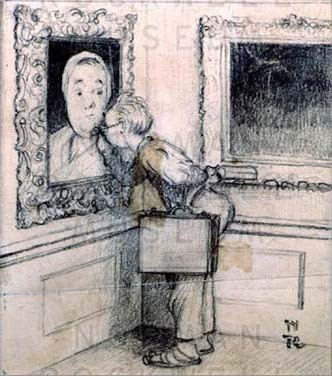 You can see that both of the cartoons have significant differences from the final paintings though. 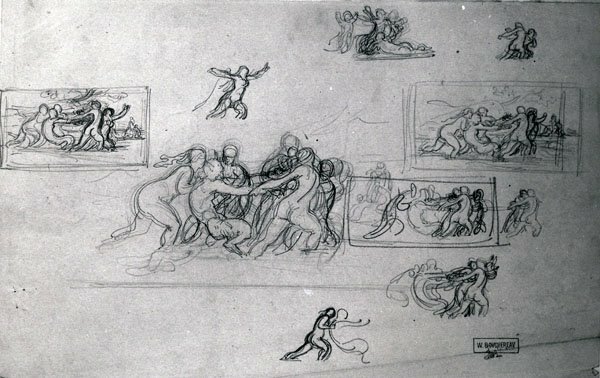 They were clearly still working things out in the final, making changes and adjustments to poses or elements of the composition. 7: The Final Painting - Wow! 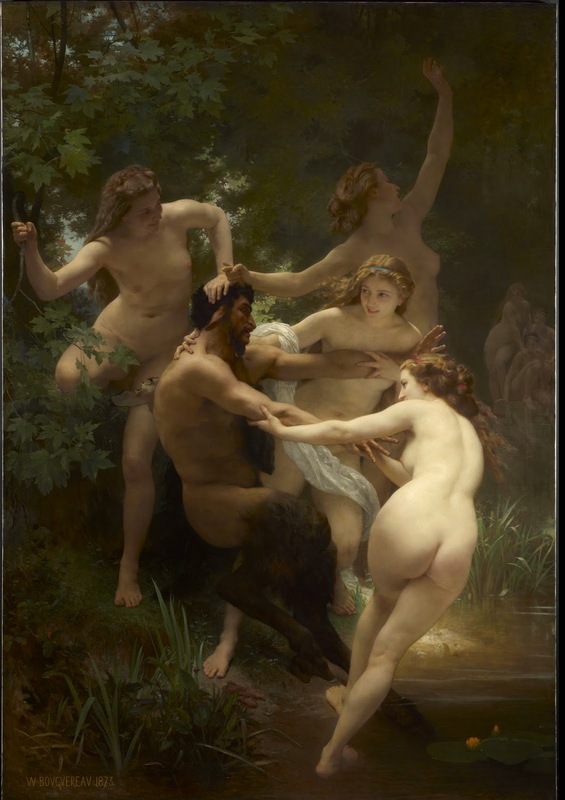 Well done Mr. Bouguereau and Mr. Rockwell. All that hard work definitely paid off! I am inspired and tired. Is all that work worth it? Can we benefit from this in our busy hectic day and time and we use modern technology to help us go through some of these steps? I would like to think so. Check back in a couple weeks for part 2 and I will show you how I have used some modern tools applied to the steps listed above. In the comments, I would love to hear your input on your own process. Are there steps that you find critical towards your success? Maybe you don't have a set process, but work each piece on it's own, re-inventing the wheel of sorts? Let me know.